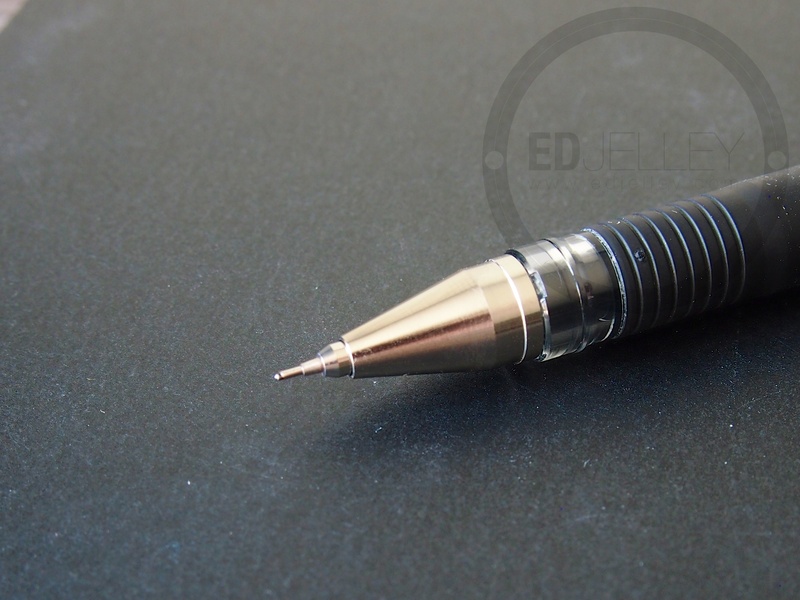 I’ve been throwing around the idea of adding different types of pens to the site. While I use a fountain pen probabaly 90% of the time, there are other pens I carry. I’ve reviewed a few different gel pens, and the first review I have ready is for the Pilot Hi-Tec-C in black, 0.4mm. I hope you enjoy the review! Any and all feedback is appreciated, so feel free to let me know how you like the review in the comments. I’ve left out sections from my standard review format because they don’t really apply here. Please let me know if this is something you would like to see more of! 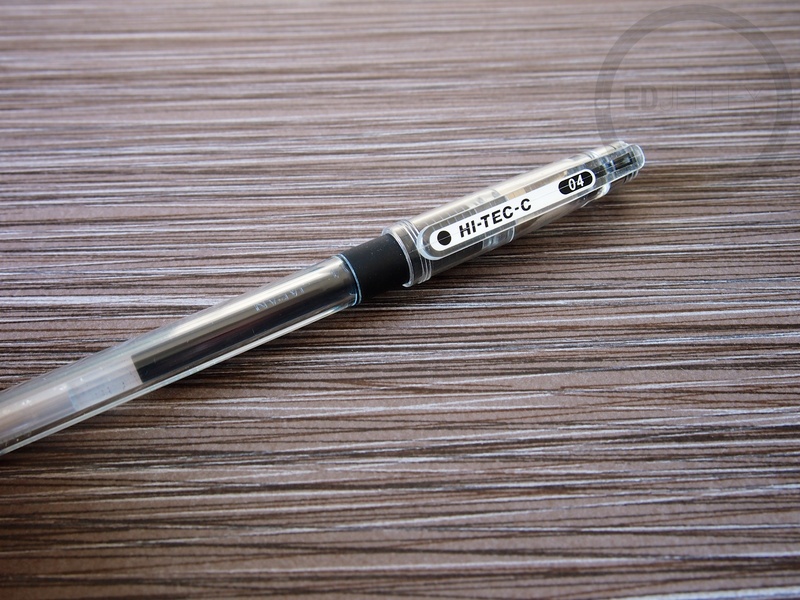 Quite possibly one of the most hyped pens in recent years, the Hi-Tec-C gained a tremendous amount of popularity online. Being the core refull for dozens of Kickstarter pen projects has made the Hi-Tec-C very popular. With it’s ability to lay down a super fine and clean line and the broad range of colors and widths, I understand why this pen is so popular. The bare bones version of the Hi-Tec-C is very minimal. I totally get why so many people have made pens around the refill. The cheap plastic body just doesn’t match up with how well this pen writes. It’s made of light, cheap plastic. The rubber grip provides no cushioning, but the ridges around the bottom of the grip do a good job of keeping the pen from slipping. 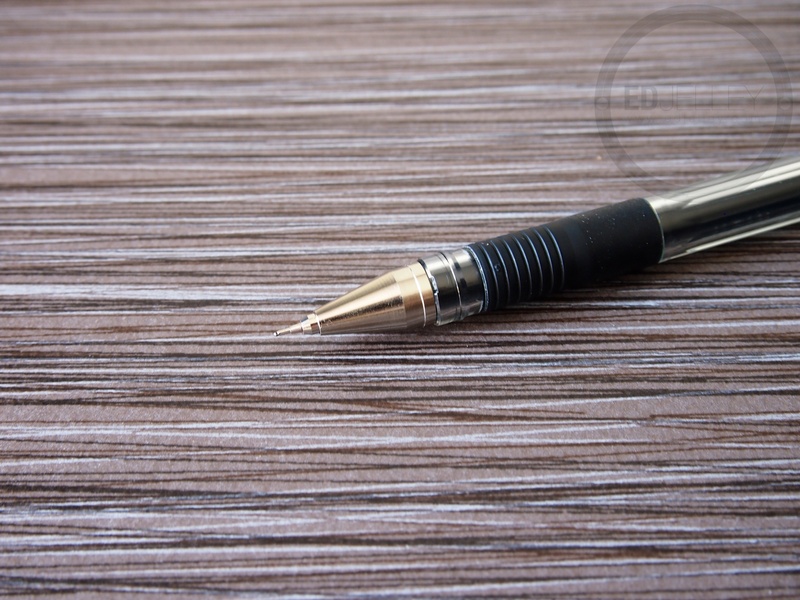 A characteristic of the pen worth noting is the small rubber stopper inside the pen cap. Instead of simply capping, or retracting, this small rubber stopper comes into direct contact with the needle point when the pen is capped. This rubber piece does a great job of keeping the Hi-Tec-C from drying out. There are other gel pens out there that have this, but definitely not the retractable ones. I’m using the version of the Hi-Tec-C with the rubber grip (there’s a version with no grip too) and the overall appearance and feel leave something to be desired. With the ever-growing number of pen body manufacturers, there’s something for everybody in terms of after market replacements. In my opinion, this is where the Hi-Tec-C really shines. I opted for the 0.4mm version and I am in no way disappointed. It lays down a super clean, fine and consistent line of gel ink. I’ve haven’t experienced any ink globbing or skipping, which is great. I like that the Hi-Tec-C is a needle point too. Many gel pens have a conical steel tip, but this needle point stays out of the way of anything that you’re writing or drawing. In opposition to the Uniball Signo DX and the Zebra Sarasa, the needle point on the Hi-Tec-C provides a full-view writing experience. Many people love this pen for drafting and design and I can understand why. The writing experience is smooth, but not buttery. There’s minor feedback that reminds me of writing with a Japanese fine nib, smooth, but you know you’re writing on paper. If I’m not using a fountain pen, there’s a pretty good chance it’s one of these. I really like the Pilot Hi-Tec-C. I get why so many pople have designed pens around the Hi-Tec-C refill. The body of the pen leaves something to be desired, but the writing experience is top-notch. The clean lines and the glob-free (I’m looking at you, Pilot G2) writing make the Hi-Tec-C a great choice in the world of gel ink pens. If you haven’t tried one, I recommend doing so. Worth the hype? Maybe. A great, cheap pen? Yes. Recommendation: Yes, check them out! 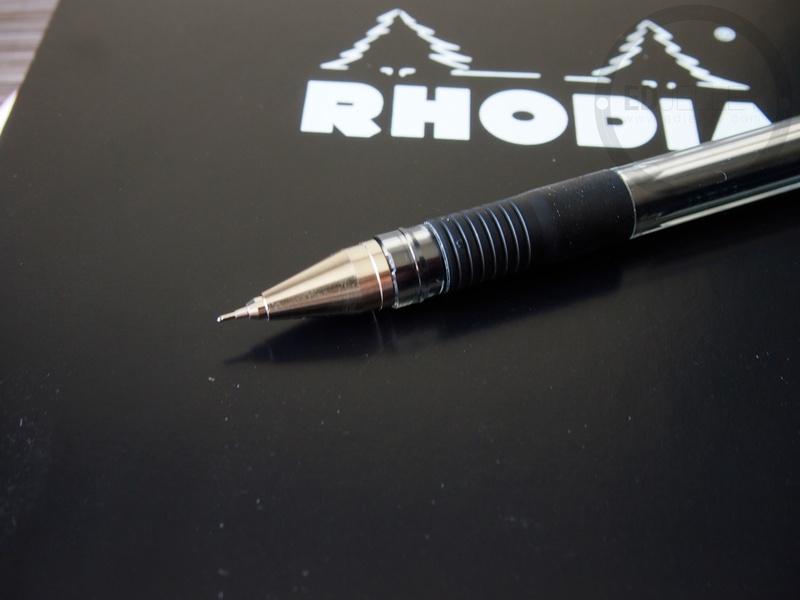 Rhodia Classic Pad – Video Showcase! Though most of us probably prefer fountain pens, it’s nice to mix it up with something like this. 🙂 Also, You should check out stylographic pens. Thanks! Thanks for the feedback! I’ll have to look into those pens, thanks for the suggestion. Great review. Although I’m partial to the Uniball Signo DX over the Hi-Tec-C (the former is much smoother on cheap/vernacular paper), I now can totally see the value of a needle point where visibility is important! Thanks! I’m a big fan of the Uni Signo DX too, it’s hard to choose between the two. I definitely agree with you on the smoothness though. Thanks for doing this review Ed. The rubber ball inside the cap which prevents the pen tip from drying out is no small thing. Pilot G2’s come with a tiny blob of silicone pressed onto the tip (which the uninitiated soon sees the humor if not the wisdom in: “This blarpin’, florkin’ pen doesn’t write! …Oh.”). Not unhappy with Pilot’s standard gel ink, in a fit of irrational exuberance I tried pimping out my G2 with a Montblanc cartridge–Steak and Eggs on an Egg McMuffin budget you see–it was a perfect fit…and as dry as the Kalahari within two days. Engineers are the gods of small things. It doesn’t pay to cross them. Thank you for reading it! Most retractable pens have the blob at the tip, and I can definitely see how people overlook the fact that it’s even there. Have you tried any of Pilot’s Japanese market gel pens? I believe that they have a different formulation of ink (Pilot Hi-Tec-C versus it’s American counterpart, the G-Tec-C). I know there are pretty much equal amounts of love and hate for the Pilot G2 and I understand why. If you haven’t done so, I would check out an offering from Pilot with a narrower tip (.04mm as opposed to the 0.7mm or 1.0mm on the G2). Odd that the MB cartridge dried out so soon though, I know some of the Meisterstuck RT line of ballpoints do not have anything in place to keep the ink from drying out. Before I keep rambling, thank you for chiming in! Ultimately, I wouldn’t rule out all Pilot gel pens because of a lackluster experience with a G2. Occasionally my G2’s skip, railroad, or clog (fiber buildup from cheap paper), but I’ve always been happy with them. They were the original gel ink pen in the U.S. were they not? Actually I have tried a handful of the Hi-Tec C’s and quite understand why people are so crazy about them even though my preference is for wider widths to write with. The colors are gorgeous and the palette range is unsurpassed. BTW, didn’t JetPens just list a new line of Hi-Tec C’s with a sleeker pen body? I performed that failed Montblanc transplant so long ago I can’t remember if the cartridge was a ballpoint or gel ink. I was very disappointed how quickly it dried out, and somewhere I have another one but no pen to put it in. I think I’d like to live in Tokyo and pay domestic prices for Grand Seiko and Ananta, portable Sony electronics, and the welter of stationery goods exclusive to the home market. Why I’d waltz in and out of Bundoki everyday! Ultimately, it’s hit or miss for everyone, and unless the pen is absolutely awful, everyone has a different preference. I certainly wouldn’t mind paying domestic prices on Seikos and Sailors. There’s a MarineMaster 600 somewhere out there just waiting for me. While I like the ultra fine tip, it tends to run dry at any given moment. Each time I use it I need to “prime” it by scribbling on a scratch paper. Have you experienced similar thing? It most definitely does. I would suggest trying out a Uni Signo DX. Similar line, it’s a bit smoother, and I’ve had less issues having to prime it. I have tried a number of these pens with a variety of point sizes and colors. Generally, I have been disappointed with the poor flow of some of the finer points. I have a few 0.25 mm and they are hard to write with often scratching high quality Japanese paper. The 0.3 mm are hit and miss. I get the greatest writing pleasure from the 0.5 mm and 0.4 mm pens. 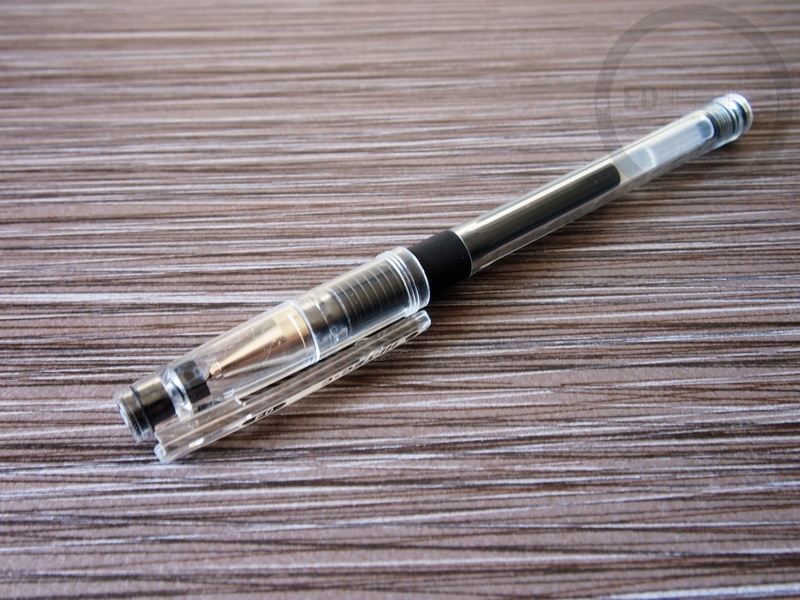 To be frank, I have had a better writing experience with the uni-ball Signo DX which has the 0.38 mm tip. Great writer ate great color selection. Uni-ball has always been an able competitor for Pilot and it gel and other pens. By the way, I bought them in Asia where they are considerably cheaper than here in North America.